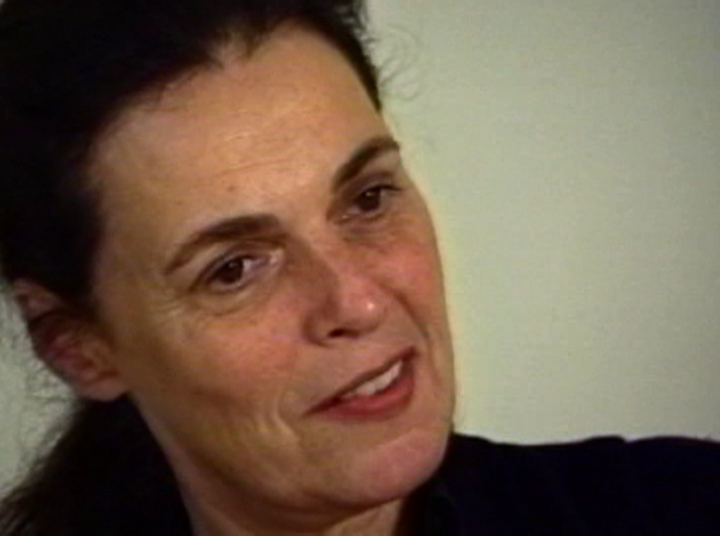 Pat Steir is an American painter and printmaker whose work has resisted artworld currents and factions for decades, while expanding its reach and maintaining enthusiastic critical support. She graduated from Pratt in 1962, and in 1964 was included in the show Drawing at the Museum of Modern Art in New York and had her first solo exhibition at the Terry Dintenfass Gallery, New York. Since then she has had numerous exhibitions for her paintings, drawings and prints, including one-person painting exhibitions at the Brooklyn Museum in 1984 and the New Museum of Contemporary Art in New York in 1987; both exhibitions traveled to museums in Europe and the US. She first came to prominence in the 1970s, when her work concentrated on signs and symbols and was close to Minimal and Conceptual art, though it was more representational and didn't quite fit into either category. Her early and very poetic work was based on an iconography that included isolated brushstrokes, color charts, words, and crossed-out images. In a 1984 conceptual reconstruction, The Brueghel Series (A Vanitas of Style), Steir allowed the history of styles to speak through a single Brueghel painting. Since 1987, abstract waterfall imagery in her paintings has continued her simultaneous engagement with the real and the metaphysical, grounding intellectual investigation in sensuous experience. Steir was a founding board member of Printed Matter bookshop and Heresies magazine, and was on the editorial board of Semiotext magazine from 1975 to 1978. In her poetic and inspiring language, Steir discusses the progress of her ideas and image-making from her early spare canvasas through the choice of representational imagery for the 'rose paintings' and on The Breughel Series. She continues by talking about two lesser-known works, outdoor, site specific installations, and on to the influence of Chinese art and the early 'waterfall' paintings. A historical interview originally recorded in 1993. Re-edited in 2009.